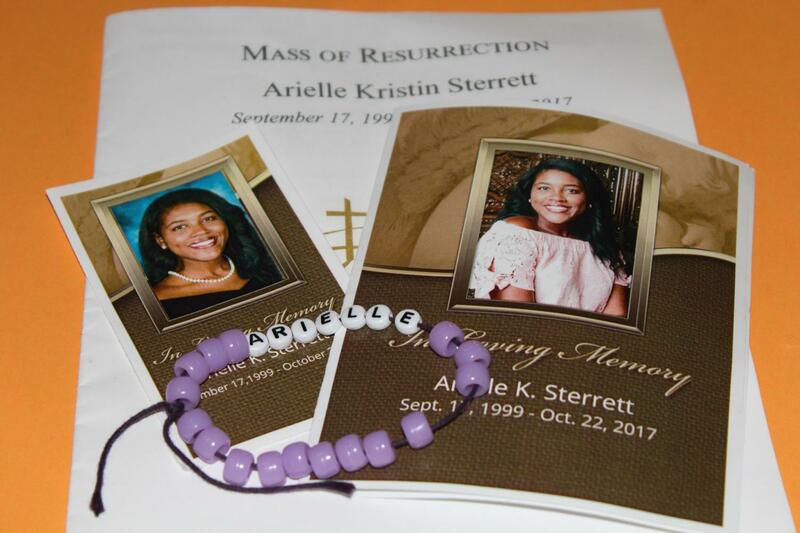 Arielle Kristin Sterrett, born September 17, 1999, brought an ethereal energy to NC, spreading positive energy, kindness, and laughter wherever she went. Sadly, Sterrett passed on October 22, leaving behind a shining legacy and aura of love that lives on through her friends and family. Sterrett’s senior photos are displayed prominently on her funeral card, alongside student memorabilia. Last Friday, prior to NC’s varsity football game, students and faculty held a memorial service for Arielle Kristin Sterrett, a senior who unexpectedly passed away on October 22 due to breathing complications. Her death leaves a gaping hole in the senior class that her bright smile and accomplishments used to fill. 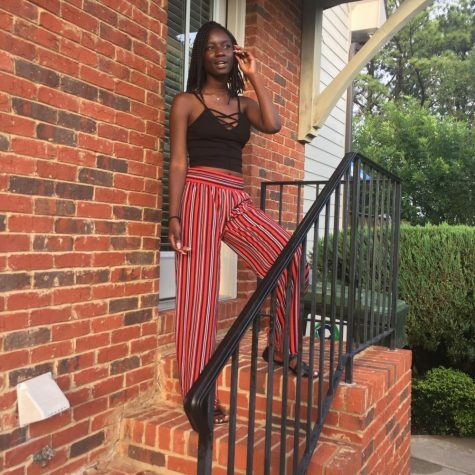 Sterrett lived life vivaciously, excelling as a talented lacrosse player, Magnet student, and active member of Tribal Connections. “Her facial expressions always brought a smile to my face, whether it be just pure happiness or laughter. Whenever her favorite song would come on, she would always bust a few moves and make us laugh. 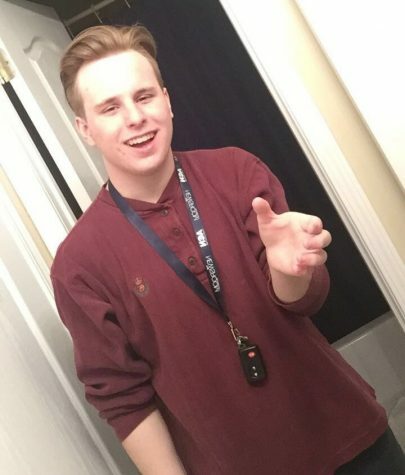 That’s what she was all about,” senior and close friend Alex Llamas said. Students discussed various ways to commemorate Sterrett, from a dance tribute, to “AS” stickers, to a candlelight vigil. “I wanted to do something that was as big and lively as she was, and Arielle loved to dance, so we were going to recreate the dance we performed at Disney World in eighth grade,” senior and close friend Azariah Burrell said. Ultimately, the school decided to hold a small ceremony before the Civil War Classic, open to anyone who wanted to come. The ceremony began with a few words from NC lacrosse coach Kathy Ezzell, who introduced the speakers and spoke words of her own about Arielle. “She was always so helpful, she would do anything for her team and she never complained about it. I’ll miss her smile and loving personality,” Coach Ezzell said. Senior teammate Sarah Lamb then took over, orating a heartfelt speech about Sterrett’s impact on her life and on the student body. She focused on Sterrett’s positive lifestyle instead of the tragedy of her death, celebrating her quirks and lively personality. “It’s like I was feeling everything and nothing at the same time. I feel sad and empty without her here, but talking about it at the vigil made me feel empowered for stepping up,” Lamb said. The crowd applauded as Lamb handed the microphone to senior class president Claudia Checo, another friend of Sterrett’s. As Checo delivered her piece, she described the light Sterrett radiated and how she would want those affected to live their lives to the fullest. “It was hard, being such an emotional event, but I tried to hold myself together because I know she would want us to be happy and remember her in a positive light,” Checo said. Following the spoken word portion, NC’s advanced women’s choir took over and sang “Somewhere Over the Rainbow” by Israel Kamakawiwo’ole to honor Sterrett. “It was so beautiful, it made me cry,” senior and friend Jayden Bourne said. NC faculty led the students in attendance to the 800 hall, where purple balloons lined the ceiling. Each student took one and followed the marching band into the stadium prior to the start of the game. Purple and black took the place of the traditional orange theme, and the announcer added Sterrett to the list of seniors receiving honors for senior night. After describing her achievements and interests to the crowd, he signaled those with balloons to release them by announcing purple as her favorite color. The crowd watched the purple dots float into the night sky during a poignant moment of silence. In its entirety, the tribute encompassed Sterrett’s beauty and unforgettable energy. “This will not be the last time we remember Arielle,” magnet coordinator David Stephenson said.